A pack of pets as you've never seen them before! 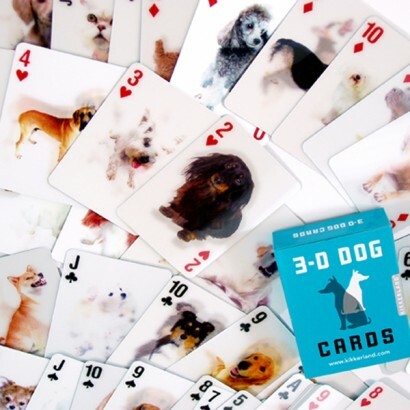 Fifty three 3D pets are poised to play on these poker sized playing cards. Sure to be a hit with dog and cat lovers of all ages! A little kitsch goes a long way and these 3D Playing Cards are ridiculously cute. Each pack contains poker sized playing cards featuring 53 different 3D images, with two sneaky jokers amongst the pack. Pet lovers will love them, just don’t try and play snap; with no two cards the same, it could be a very long game!